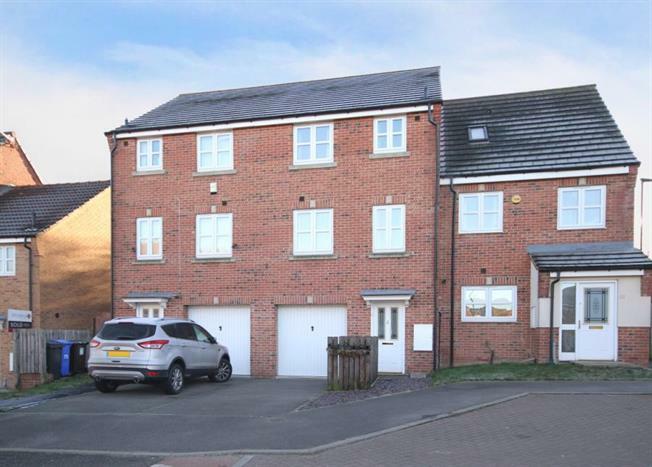 4 Bedroom Town House For Sale in Sheffield for £184,950. Public Notice - 21 Myrtle Drive, Sheffield S2 3HG We are acting in the sale of the above property and have received an offer of 184,950. Any interested parties must submit any higher offers in writing to the selling agent before an exchange of contracts takes place. Attractive four bedroom executive townhouse forming part of this popular purpose built residential development. Offering versatile flowing accommodation over three floors. En-suite shower room serving the master bedroom, open plan fitted dining kitchen, Juliette balcony from the living room overlooks the private rear garden. Driveway and garage. Convenient for access to Sheffield City Centre, Universities & Hospitals. Early viewings are strongly advised.